There are a lot of different iphone apps out there in the iTunes app store that will allow you to watch TV programmes on your phone such as the iPlayer application and many other apps for different countries around the world. However, there are currently not really any applications that will allow you to watch movies on your iPhone. 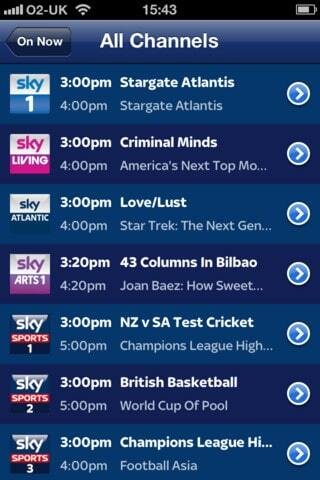 Now, Sky have released an app that allows you to do just this on your iPhone, iPad and even iPod Touch. Sky has today launched the service that will see any existing customers of their Movies services on their satellite TV network be able to access movies on their Apple iOS devices. It is hoped by Sky that the application will compete against other big companies out there including Netflix, Lovefilm and of course; Tesco Blinkbox. The free app that has been launched by Sky can be used on either a Wi-Fi or 3G connection which means that customers will be able to watch movies almost anywhere they are in the world. There are hundreds of different films to choose from and all the user has to do is to choose one to start it playing on their iPhone device. The movies section of the app will be available through the existing Sky GO app which has already managed to gain more than 2 million registered users. Sky has released a number of iPhone apps since the iPhone was first released including a remote record app. Download Sky Go App for iPhone, ipod touch and Ipad from Itunes Apps store here.